Poh Chee Eng, 28, the owner, was a former civil servant and he is a first-time hawker. He used to help out at his parents' stall at Chong Boon Food Centre in Ang Mo Kio before starting this stall at the newly opened hawker centre. He wants to continue the legacy of his family's recipes through this stall. 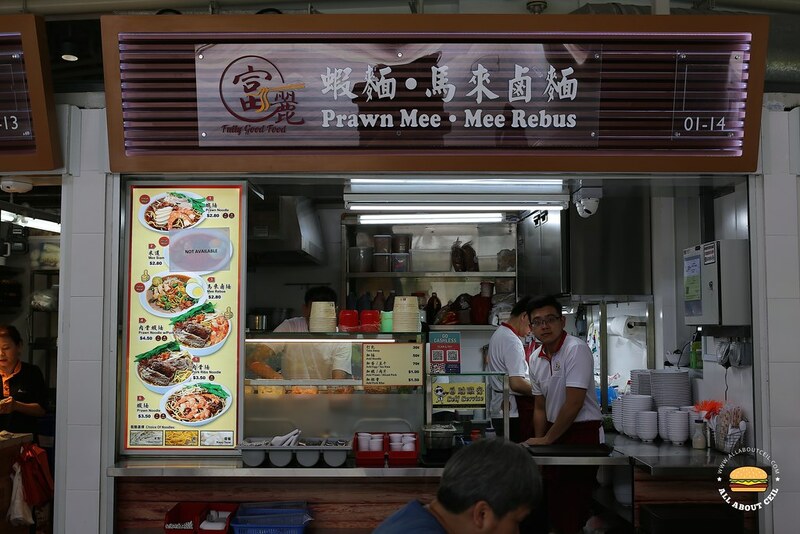 He is under the "hawker-preneurship" programme by NTUC Foodfare, which aimed to attract and nurture new-generation hawkers by lowering their start-up costs with guidance provided. He started preparation as early as 2 am and left the stall as late as 8.30 pm. There was just another customer in front of me when I was there for an early lunch. 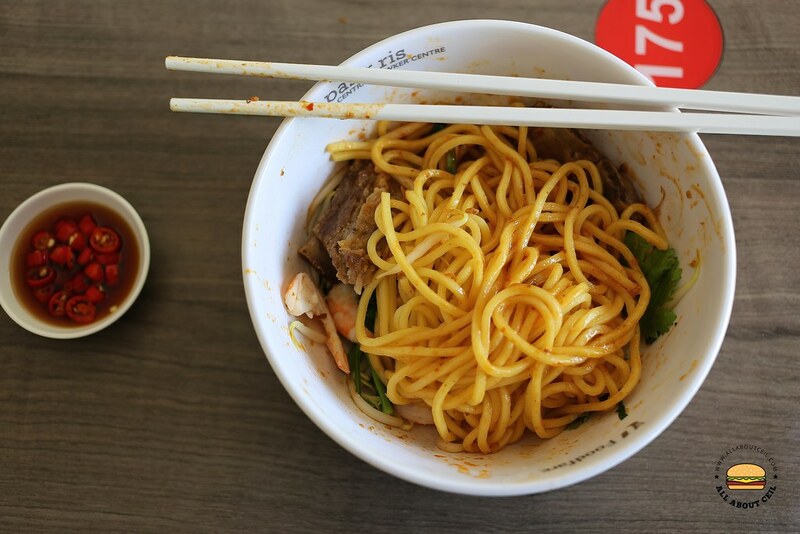 Their menu includes Prawn Noodle ($2.80), Prawn Noodle with Pork Ribs ($4.50), Pork Ribs Noodle ($3.50) and Mee Rebus ($2.80). I decided to go with Prawn Noodle with Pork Ribs. While waiting for it to be ready, I helped myself with those red-cut chillies. 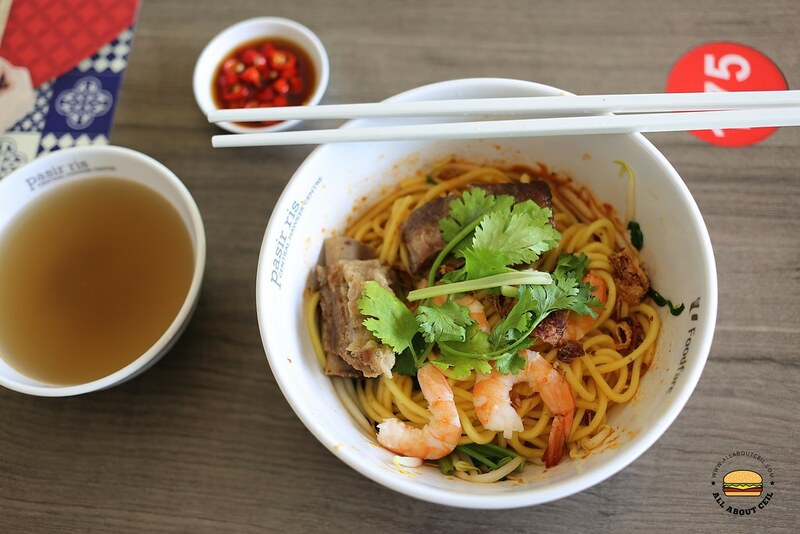 It is served with a good portion of yellow noodles with kang kong, 2 pieces of pork ribs and 4 pieces of small prawns, garnished with a stalk of coriander. I tossed the noodles a little but it did not have much sauce underneath thus it was slightly dry. Though I asked for an extra amount of chilli to be added, it was not as spicy as I expected it to be. Those pork ribs were lovely though, its texture was desirable falling-apart. Overall, it might not be the one of the best Prawn Mee now as there are still opportunities for enhancement.